Exotic wood presence. Easy endurance. 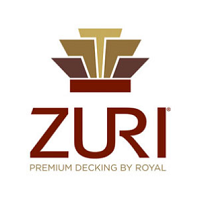 Zuri® Premium Decking by Royal® goes beyond wood decking by combining the aesthetics of exotic timber while holding its beauty far longer than any wood could. Which means you get to create a thoroughly distinguished outdoor environment. Zuri Premium Decking is created from equal parts creative inspiration and proprietary manufacturing technology. It’s composed of multiple layers. One that resists scratches and fading. Another that invites family and friendly bonding. And still another that brings the elements to their knees. 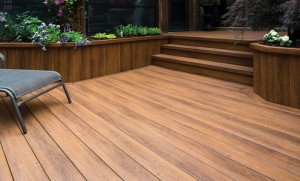 Zuri decking, with maximum exotic wood presence, authentic colors and the jaw-dropping charisma of exotic timber.